Mercedes’ all-new electric SUV is just one step ahead of the official revealing. The amazing vehicle is scheduled for September 4th when it’s going to be introduced in Stockholm, Sweden. 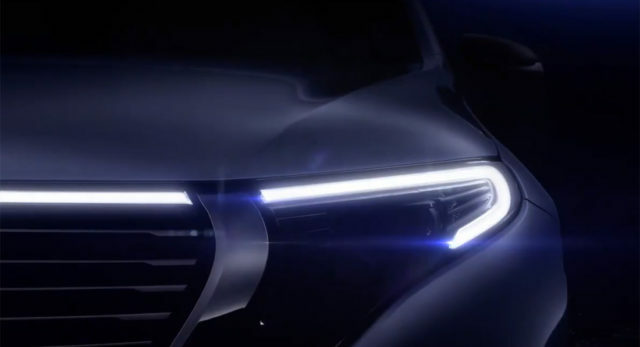 The German car manufacturer, however, released a teaser before the official debut, so we can enjoy looking the intriguing front end of the 2020 Mercedes-Benz EQC. Truth to be told, we know pretty much everything about the electric SUV before it reaches Stockholm. That’s largely thanks to the automaker which was pretty open with the public. According to them, they’ve used 90 prototypes and 30 pre-production prototypes in the development and bunch of them were almost totally uncovered. As for the single teaser, it reveals car’s gorgeous LED daytime running lights that stretch across the top of the grille. The hood definitely gets a prominent crease that extends from the grille to the A-pillar, while the grille itself features horizontal slats. Altogether, the front end largely resembles Generation EQ concept, while the footprint of the SUV mirrors the current GLC compact crossover. The manufacturer is still hiding the specification of the powertrain, but we think that the battery-powered SUV is going to host pretty much the identical system as the aforementioned concept. 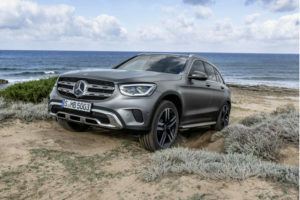 Meaning, the 2020 Mercedes-Benz EQC will rely on a pair of electric motors and a 70 kWh lithium-ion battery which will offer a driving range of around 500 km (310 miles). The motors will be able to produce 402 horsepower and 516 pound-feet of torque. It’s important to mention that the mile-range was based on NEDC standards, so the EPA-rating should reduce the range to, let’s say, 250 miles at most. This Stockholm’s debut will give the Mercedes EQC a slight advantage over the Audi e-tron because the four-ring electric SUV is going to make its official debut in twenty days from now. 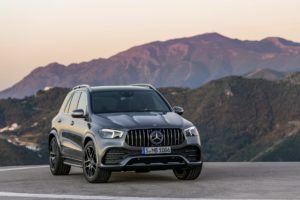 Still, after the introduction to the Swedish public, Mercedes’ electric SUV will arrive in the United States at the 2018 Los Angeles Auto Show.